Bellababy Studio: Hissyfits Hullabaloo is coming! Just a quick reminder about this weekend (Nov. 7th). Hissyfits Resale in Phoenix, AZ. 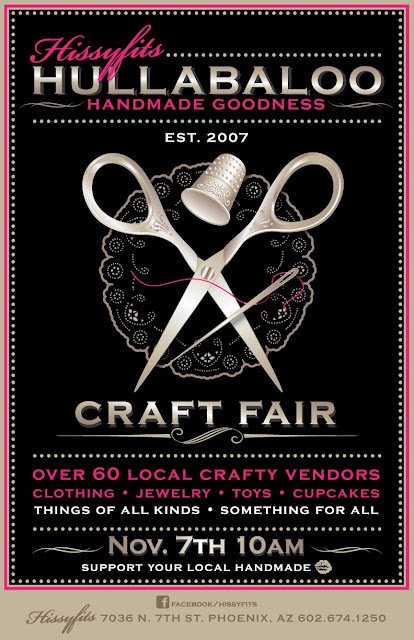 is having the annual Hullabaloo Craft Fair and Bellababy Studio will be vending again! There will be something for everyone, food, cupcakes, clothing, jewelry, toys, gifts and accessories galore--be there or be square! Cant wait to see everyone, have fun!